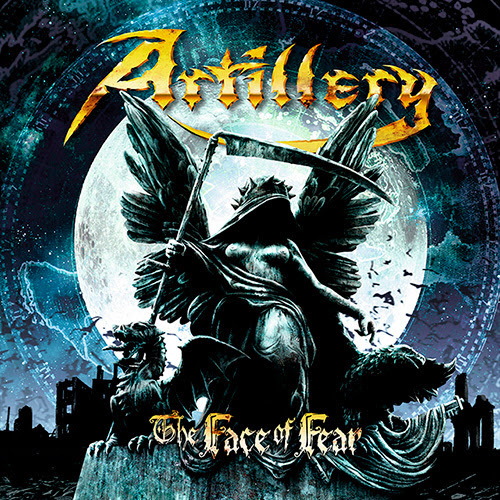 Artillery will release on November 16th their new release ”The Face Of Fear” which is the successor to ”Penalty By Perception” from 2016, via Metal Blade Records! The lyrics are Artillery as you know them, with subjects concerning the destruction of mankind, double standards, abuse and the looming worst-case scenario. ”The Face Of Fear” was recorded with long-time producer Søren Andersen at Medley Studios. It’s Søren’s fifth time at the helm and once again he manages to deliver a monster production. Since the last album ”Penalty By Perception”, which won the band four Danish Metal Awards 2016 (Best album, best band, best production and Honorary prize), Aetillery has toured around the World, including Europe, South America and parts of Asia. In the rest of 2018 there will be time for Copenhell’s Metal Cruise and a Denmark tour, with a release party on High Voltage. 2019 will include tours in Europe, South America and USA. Nothgard enters official German album charts on position 53!